I often get asked which Forex brokers do I recommend. I decided to do a spotlight of different Forex brokers I would deem to be worthy. Since there are so many new Forex brokers popping up everyday I will only be talking about the good ones. These Forex Brokers I recommend will be brokers that I have tried and tested. I use Pepperstone as my main Forex broker I thought it would be best to hit it off with them. I have stated in other posts that choosing the right broker is essential to be a profitable trader, please read my other post here. There is no doubt that I would recommend Pepperstone to everyone. I have used them for many years without any problems at all. Deposits and withdrawals are quick and often with in the same day. 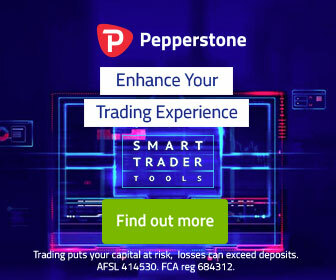 When I first started trading, Peppersone was recommended to me by another Forex trader and was told eventually a lot of pro traders end up with Pepperstone for their Forex broker. Spread and latency seem to be whats mostly on a traders mind. Forex brokers are not “the enemy” like most traders think. Without brokers, us retail traders cannot trade. Forex brokers are in business to make profit and it is up to the trader to work around what is provided. However there are many Forex Brokers that push the rules and alot of these brokers you must avoid. Some of them do over increase spreads or server systems run slow. Some of them even run algorithms for so-called stop hunts. This is true and its why we must endeavor to find the best Forex brokers we possibly can. Below is a rundown on who Pepperstone are and what they offer. More info can always be found on the Pepperstone site. Pepperstone was established in 2010 by traders for traders and has become one of the world leading Forex Brokers in a short time. Offering a very robust and secure servers with speed and low spreads being a top priority. Pepperstone caters for institutional traders hedge fund managers and sole retail traders. Having 22 plus liquidity providers and direct access to the interbank give you the benefit of avoiding the burden of the dealing desk as offered by most other Forex Brokers. Pepperstone is based in Melbourne Australia and has many offices around the world, including. Pepperstone offers over 70 different pairs, giving you a diverse opportunity to trade different instruments. Pepperstone has 4 different types of trading accounts. Depending on your trading style will depend on the account you need. I have traded both with Edge standard and Razor accounts. I prefer the standard account purely because of no commissions whilst maintaining straight through processing to the interbank market. The Edge Standard account provides interbank spreads and high liquidity with out any added commissions. Negative balance protection, which means your orders will be stopped out automatically before your account goes into a negative balance. For traders investors hedge fund managers or institutional traders, that trade high volumes Pepperstone offers additional services to meet or compensate for your needs. Pepperstone provides 11 different trading platforms for PC or MAC tablets and phones listed below. of inbuilt indicators and programmable EA’s. It is probably the easiest trading software to use. The down side, it has a windows 95 retro look and some advanced limitations but this hasn’t deterred traders from using it. MT4 is trying to be replaced with MT5, but traders are yet to take a liking for it. however I will be making the switch to MT5 when its released by Pepperstone. WebTrader is Pepperstone’s cloud based trading platform and give you free access to your MT4 account from the web. The cTrader platform is the most innovative, sophisticated and revolutionary ECN trading platform available on the market. cTrader in comparison to MT4 is a very sleek and modern looking application. Pepperstone does not reject any of your orders and are not subjected to re quotes. Pepperstone has a NO DEALING DESK commitment and your trades are passed directly to the interbank market. Trade execution is 100% automated with pricing delivered from 22 banks and liquidity providers. Execution latency is from 50ms and immediately settled. Forex trading is very volatile, and prices change very quickly. With pepperstone PPI technology pepperstone will fill your order at the most favorable level. You place a trade at the current market price through our on-line trading platform. The market price may move in your favor between the time the trade is placed and the time it is executed. Our Price Improvement technology detects the favorable price movement. If possible, your price is filled at the improved level. We don’t requote – we just give you the better price. Pepperstone is a very reliable Forex broker, and has delivered on all of its features. From my experience using Pepperstone I can trust them into the future. They have never let me down and have not seen any hint of price manipulation like I have had on some other Forex brokers. I would recommend to give them a go and try them out on a free demo account. I have traded demo along side a live account with Pepper and found price is pretty much spot on between the two. 4 Comments on "Best Forex Brokers"
Enjoy your thoughts and actions. you might be interested in the charts and discourse from 2015.
as im from Adelaide, now in Melbourne glad to see you firing on the international scene. What are your thoughts on the dollar now? Half a year ago I have abandoned all the rest of my USD holdings, because of the election results. In my opinion USD is going down, way down in the next few years.